"It (Squier) didn't have any features likely to interfere with the sale of American models", yet the humble Squier probably saved Fender financially in 1985. 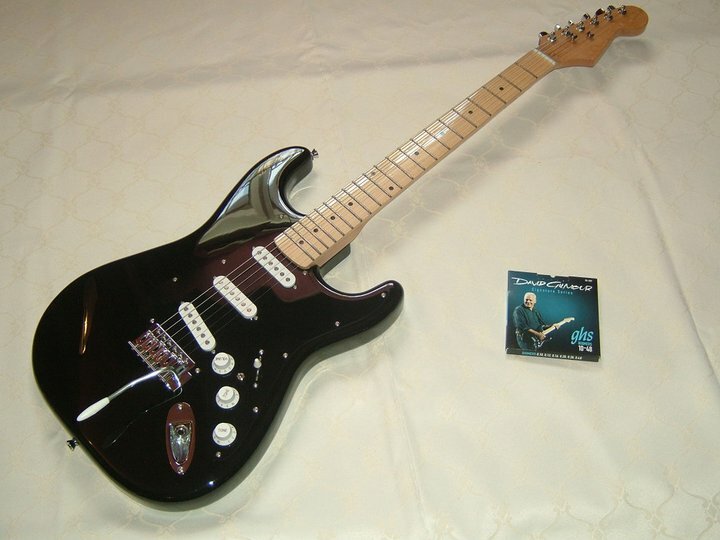 Since their inception Squier Strat's have gone through many model variants and new countries of origin. 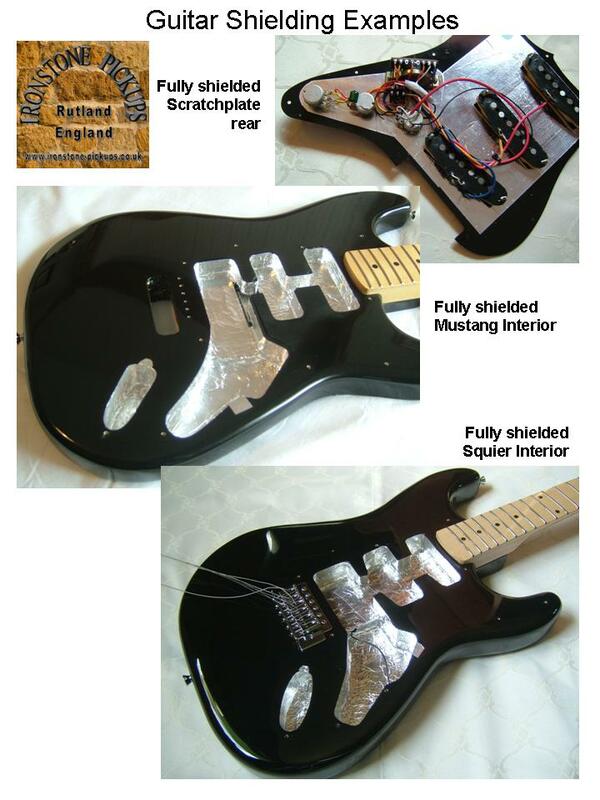 But the basic no nonsense formula has remained, perfect for Fender Squier upgrades. So I'll start off by saying that I am not trying to say the materials and finish of a Squier matches an American standard. But they are potentially 'mechanically' excellent budget instruments. In fact, as the prices they are now fetching shows, original Japanese and Korean manufactured Squier's are quite highly prized. 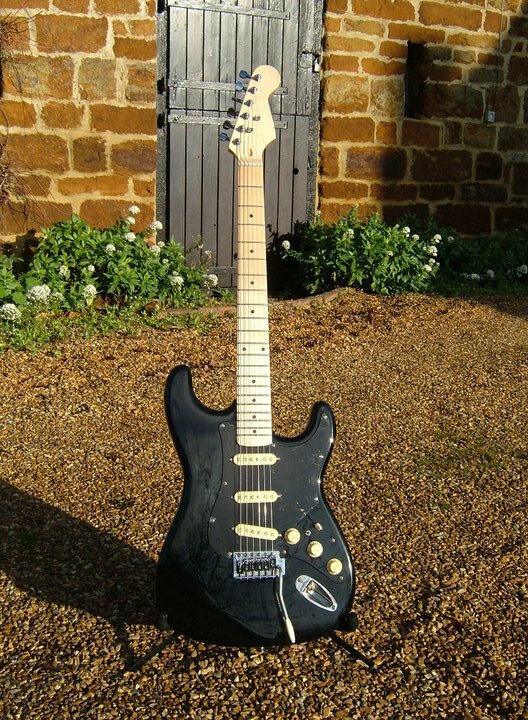 Ironstone Pickups actually began in business building Gilmour Black Strat 'tributes' based on mid-90's MIK Squiers. Some of the nicest maple on maple necks I have ever seen. 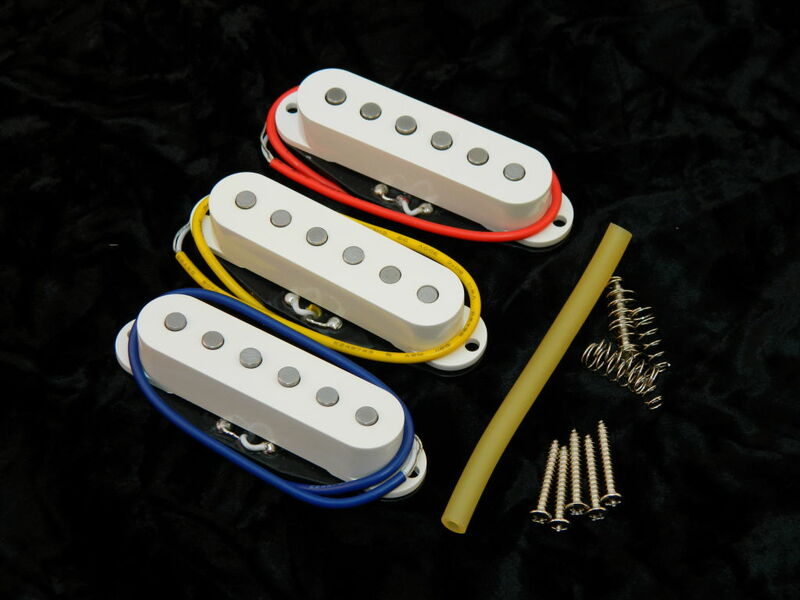 So lets begin with the pickups, the heart of any guitar's tone. As a primary product differentiation for Fender, Squier's are typically supplied as stock with ceramic magnet pickups, typically of quite low windings. I have come across examples down in the 4kOhm range, which coupled to the ceramics is a recipe for thin, brittle tone. It is not always necessary to change / upgrade the basic guitar electronics when replacing pickups. But in the case of Squiers, particularly older ones it is advisable. My personal recommendation value wise for Stratocaster configurations is 250kOhm Log / Audio style potentiometers for all 3 volume and tone controls, along with a 22nF (0.022uF) capacitor. This combination gives a very smooth tone sweep rather than the somewhat 'on / off' that is the result of other values & styles. I am deliberately focusing on the values rather than the brand; there is already plenty on the web claiming brand A capacitors sound so much better than brand B etc etc. Wire quality is another hot forum topic (Ironstone use shielded audio wire for the pickup connection for example), but in truth the quality of the soldering is just as important. Practise first if you are new to soldering! Whilst not strictly part of the 'electrics', no single coil pickup upgrade (especially Fender Squier upgrades) advice would be complete without a mention of guitar shielding. There are 2 main strategies for removing noise from a single coil pickup, shielding and cancelling. Hopefully this Fender Squier upgrades Blog will stimulate some thinking and tempt a few more owners to have a go. Enjoy!